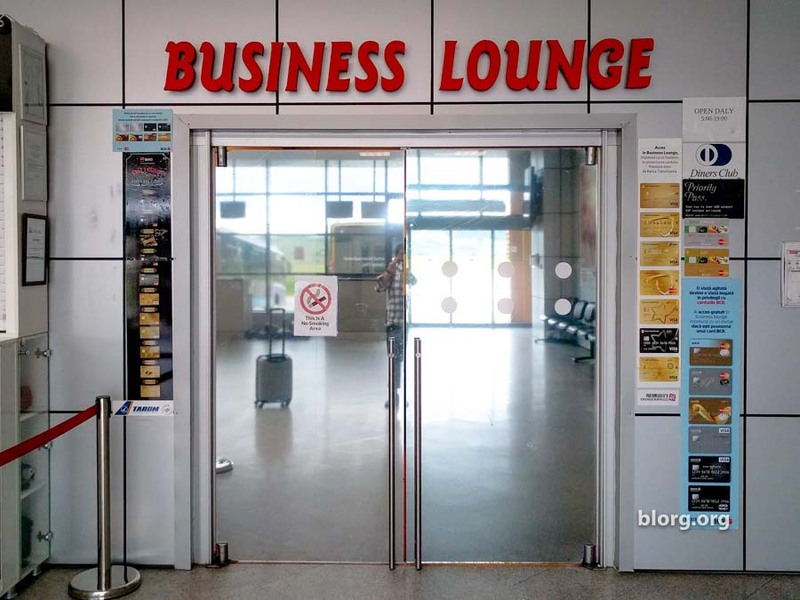 After leaving the best Priority Lounge in Malta, it was a good time to reset my expectations by visiting one of the worst lounges I’ve ever been to, the “Business Lounge” in Cluj Airport. Well, it’s not as nice as Malta. I showed up for my flight early and hung out here for 90 minutes and it was brutal. The most painful part was that they played loud (bad) music and had the airport announcements on repeat. Every 5 minutes you’d hear an announcement to not leave your luggage unattended. This was in the domestic terminal, which is the size of 3 gates. None of the domestic planes take off next to the terminal, everyone is shuttled from the tarmac. Cluj is the 2nd biggest city in Romania and supports domestic and international flights. I happened to arrive here from Malta. The airport is still very small and getting through security was a breeze since there weren’t many other people. Even though I’m flying on a low cost carrier, I still get lounge access with Priority Pass. Definitely essential for the International traveler and comes as a perk with most premium credit cards. It was nice to not be in the craziness of the airport terminal, but it felt like being in an office cubicle for some reason. There was no life in the room. Stale snacks are available. No hot food. There are no restaurants after airport security on the domestic side but there is a small cafe for cold sandwiches. If you show up early, make sure you’re not hungry. They had a full fridge of soda, juice, Tuborg beer and a small selection of alcohol. Since I have Priority Pass, this was a free experience and I have nothing to complain about. But I will complain. The speakers for the announcements and music were way too loud. I had to drown out the noise by putting on my own earphones and playing music loudly.